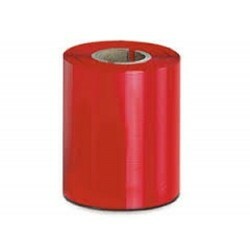 Thermal Transfer Ribbons There are 20 products. These 40mm x 450 metres Wax Resin thermal transfer ribbon are compatoble with a wide range of printers including the Citizen and Zebra Ranges plus many more. There is a quantity of 6 ribbons provided. Next working day delivery is provided via Interlink Couriers and a VAT invoice will be enclosed with your order. These 40mm x 450meter Wax Resin thermal transfer ribbon are compatoble with a wide range of printers including the Citizen and Zebra Ranges plus many more. There is a quantity of 12 ribbons provided. Next working day delivery is provided via Interlink Couriers and a VAT invoice will be enclosed with your order. These 45mm x 450 metres Wax Grade thermal transfer ribbon are compatoble with a wide range of printers including the Citizen and Zebra Ranges plus many more. There is a quantity of 6 ribbons provided. Next working day delivery is provided via Interlink Couriers and a VAT invoice will be enclosed with your order. 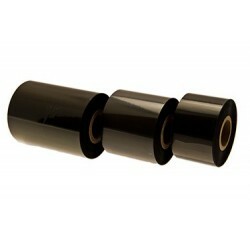 These 45mm x 450 metres Wax Grade thermal transfer ribbon are compatoble with a wide range of printers including the Citizen and Zebra Ranges plus many more. There is a quantity of 12 ribbons provided. Next working day delivery is provided via Interlink Couriers and a VAT invoice will be enclosed with your order. These 54mm x 450 metres Wax Resin thermal transfer ribbon are compatoble with a wide range of printers including the Citizen and Zebra Ranges plus many more. There is a quantity of 6 ribbons provided. Next working day delivery is provided via Interlink Couriers and a VAT invoice will be enclosed with your order. These 54mm x 450 metres Wax Resin thermal transfer ribbon are compatoble with a wide range of printers including the Citizen and Zebra Ranges plus many more. There is a quantity of 12 ribbons provided. Next working day delivery is provided via Interlink Couriers and a VAT invoice will be enclosed with your order. These 76mm x 450 metres Wax Resin thermal transfer ribbon are compatoble with a wide range of printers including the Citizen and Zebra Ranges plus many more. There is a quantity of 6 ribbons provided. Next working day delivery is provided via Interlink Couriers and a VAT invoice will be enclosed with your order. These 76mm x 450 metres Wax Resin thermal transfer ribbon are compatoble with a wide range of printers including the Citizen and Zebra Ranges plus many more. There is a quantity of 12 ribbons provided. Next working day delivery is provided via Interlink Couriers and a VAT invoice will be enclosed with your order. These 84mm x 450 metres Wax Grade thermal transfer ribbon are compatoble with a wide range of printers including the Citizen and Zebra Ranges plus many more. There is a quantity of 6 ribbons provided. Next working day delivery is provided via Interlink Couriers and a VAT invoice will be enclosed with your order. These 84mm x 450 metres Wax Grade thermal transfer ribbon are compatoble with a wide range of printers including the Citizen and Zebra Ranges plus many more. There is a quantity of 12 ribbons provided. Next working day delivery is provided via Interlink Couriers and a VAT invoice will be enclosed with your order. These 104mm x 152 metres Wax Resin thermal transfer ribbon are compatoble with a wide range of printers including the Citizen and Zebra Ranges plus many more. There is a quantity of 6 ribbons provided. Next working day delivery is provided via Interlink Couriers and a VAT invoice will be enclosed with your order. These 104mm x 152 metres Wax Resin thermal transfer ribbon are compatoble with a wide range of printers including the Citizen and Zebra Ranges plus many more. There is a quantity of 12 ribbons provided. Next working day delivery is provided via Interlink Couriers and a VAT invoice will be enclosed with your order.